Bookshop u Tobiasza - Book - Faster, Faster! Nice and Slow! A third title in this superb series by award-winning best friends, Sue Heap and Nick Sharratt. Here is the perfect way to learn about opposites. 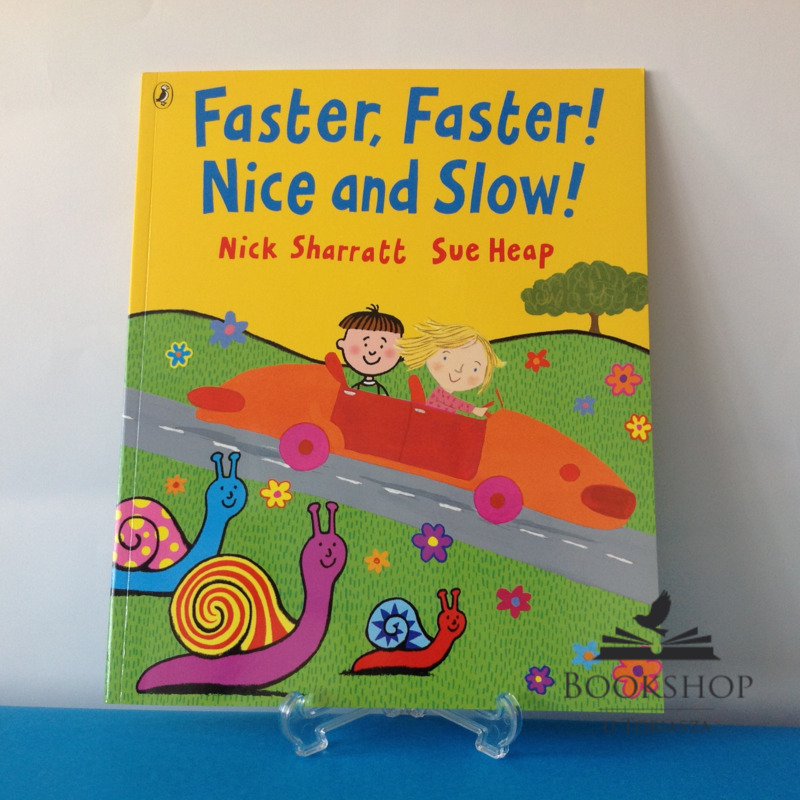 Whether it's a quiet cat and a noisy dog, a freezing cold or a hot and sunny day or a super-fast leopard and a family of slowly-slow snails, Sue and Nick introduce all sorts of opposites in an engaging and memorable way.